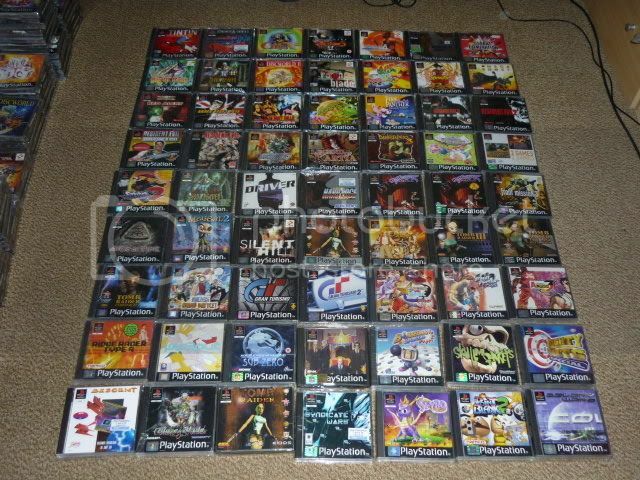 Heres a thread where you can post pictures of your game collection. 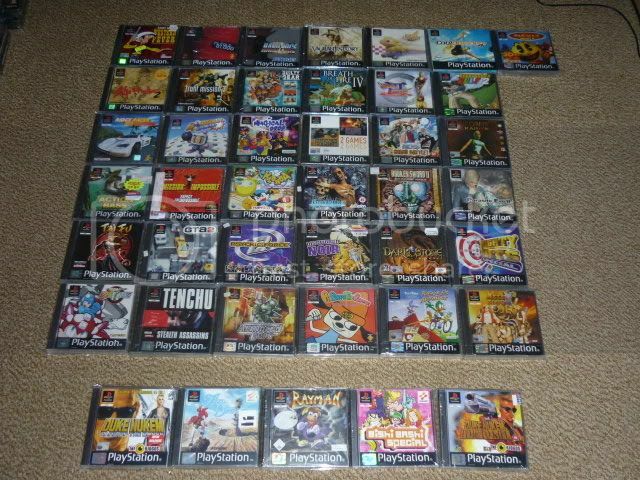 We'd love to see some of the cool playstation items that people have in their collections! Just some pictures of my shelves here, nothing special. 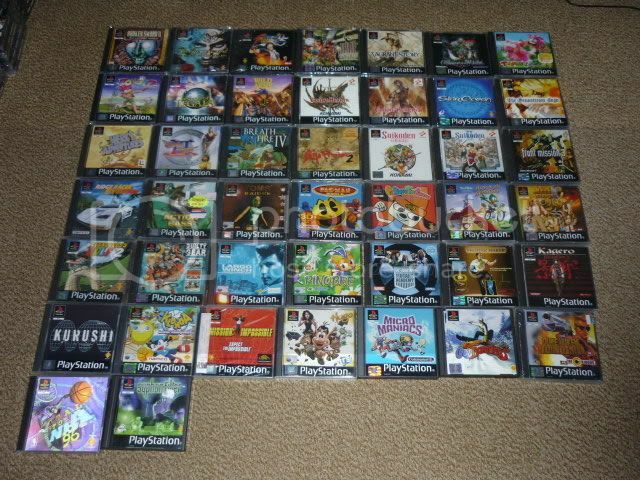 If you can recommend some more PS2 games I would be glad to hear it, I kind of have everything I want right now. My apologies for the lighting/glare, but I am a terrible photographer. Edit: seems like the board doesn't self adjust, so a lay-out saving edit here. The shelving system has been amplified by 2 additional cabinet, each of which hold 400 titles (of average DVD case size). That doesn't even include the stuff I keep in my room, like the 200(+) PS3 titles and such. I'll update the photo as soon as possible. i love those figurines man! what is that loco roco thing? Sweet collection, I really like the way you have everything organized . The figures are cool as well, I eventually need to get myself those Zelda Ocarina Of Time Statues. 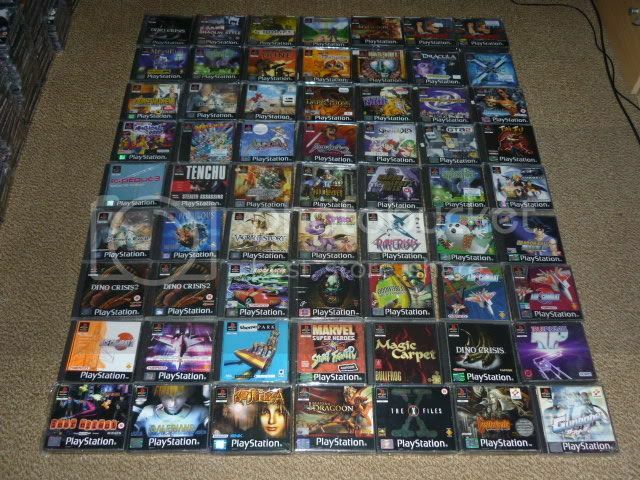 I'll have to take a pic of my ps1 collection soon, all I have a pic of right now is my NES stuff . Love those pictures!!! pff I still have a long way to go hahaha, i'll make some pictures when my I have everything unboxed and ready. Wow awesome collection man! So awesome! 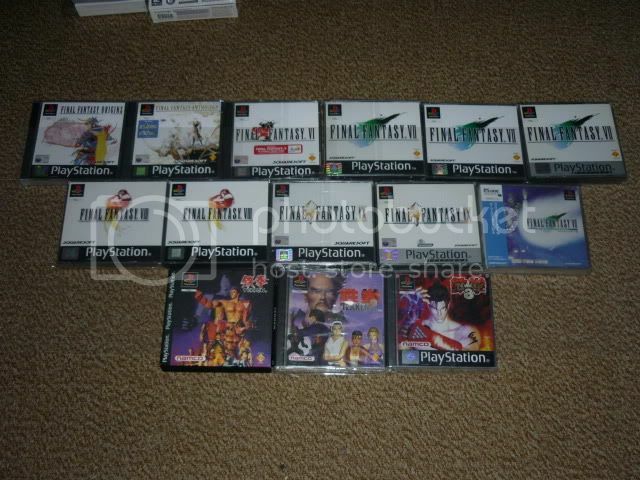 And here, my factory sealed games. Sadly Guardian's Crusade was forgotten and did not make it to this photo... The five games bellow are not officially sealed, but they are brand new never opened with shrinkwrap. How do I know, you ask? Because they were all sold like this over here. And this is it, at least for now. 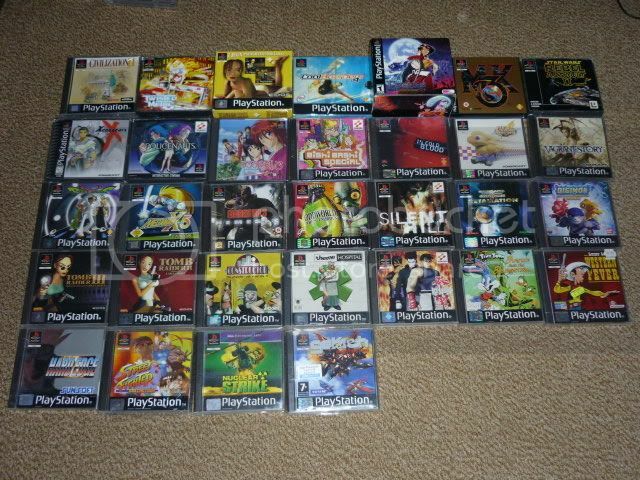 wow saturn...I never thought you have so much sealed PS games...very nice. Are these all UK version?? Awesome Saturn that's a very impressive collection! 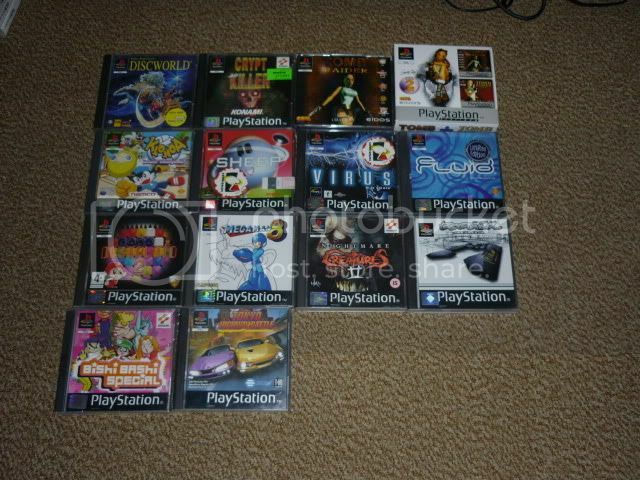 As you can see, my collection is small, and i only have a few PS item, I only have the link cable PS1 and the GTA collectors Edition PS1 both PAL. The small shelf on the left, with the portabel systems, have 3 spaces, there i will put the 3 PS systems in the next months, and the portable ones will go to a wall shelf above the TV, with glass doors. Videogame are my life, and i'm happy with it! where did you get that Sega cabinet? That's a long story, but i think i can make it short. In 2007 September i guess, i remembered that one of the local stores had some official furniture to display SEGA and Nintendo systems, so i went there to ask if they still had it. And they did, and they sold it to me, and all of the old games and accessories that they had (an Expansion pak, 5 packs of paper to GB printer, a GBA game and link cable, and the RF cable to N64), All for 50€! 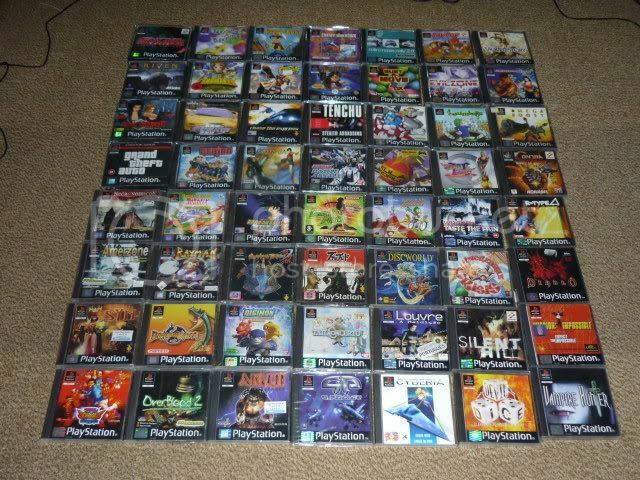 100-130 for a ps1 cabinet? i'd buy those in a second!